As we Europeans head straight into winter, the lucky people in South Africa are heading towards summer, so let’s try and stretch our memories of warmer weather a little by giving some profile to South Africa this month. 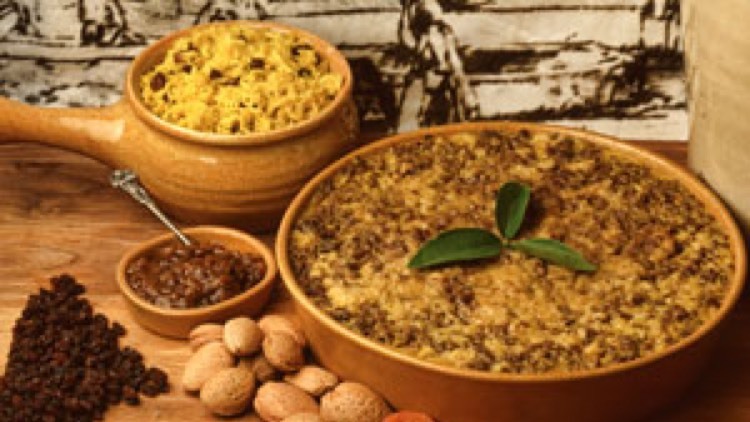 South Africa’s food is incredibly diverse and reflects its unique history. Colonists from Portugal, The Netherlands, Germany, France and the UK settled in South Africa from the 17th century onwards, introducing new produce and European culinary styles. Other multicultural influences have shaped modern South African cuisine too. Javan labourers brought in by the colonists introduced the use of spices for adding flavour to bland dishes, for example. Chinese influences can also be found. These ‘newer’ cooking ideas were often merged with indigenous cooking styles, ingredients and recipes to create the wonderfully eclectic nature of South African cuisine, captured perfectly in its nickname, ‘Rainbow Cuisine’. Corn (meilie) is a staple of South Africa. Fresh, roasted corn eaten on the cob is sold by street hawkers nearly everywhere, and miele-meal (cornmeal) is used for everything from porridge (pap) to dumplings and cornbread. The mild climate produces a tasty variety of fruit and veg, including potatoes, squash, peppers and green beans, and the abundance of rain in the Northern tip is perfect for tropical fruits such as bananas, pineapples and mangoes. Meat, both fresh and dried (biltong), is a huge part of the South African diet, with the barbecue (braai) being a love of the nation. It’s Atlantic and Indian Ocean coastlines also provide an abundance of seafood. Dried fruits – South Africa is famous for its dried fruits – eaten whole or ground into a paste, they’re perfect for snacking or as an ingredient.